RITA Award-winning author Kresley Cole continues her bestselling Immortals After Dark series with this electrifying tale of a ruthless demon mercenary and the lovely young halfling who enchants him. A seductive beauty he can never have, yet can't resist.... Cadeon Woede will stop at nothing to atone for the one wrong that will haunt him forever. But once he secures the key to his redemption, the halfling Holly Ashwin, Cade finds that the woman he thought he could use for his own ends and then forget haunts him as much as his past. Tied for Fave of Series: Audiobook Does JUSTICE! This is why I buy audiobooks. 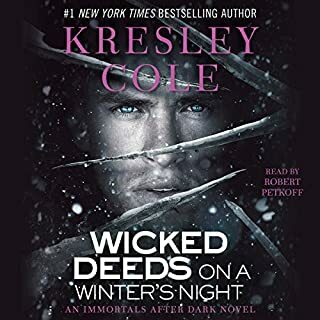 Kresley Cole has written about a dozen novels in the Immortals after Dark series and I have been waiting for years for them to be made into audiobooks. The publisher started slowly releasing these about 2 years ago and after a misstep with the choice of narrator for the first release, (the Warlord Wants Forever - a good book, just an odd/distracting choice of two narrators) Robert Petkoff has narrated each subsequent book. He is absolutely fantastic and the books just keep getting better. These are engrossing and funny paranomal romances. While this is a stand alone novel, one of the best aspects of Kresley Cole's books in this series is the way she is able to weave the earlier characters and storylines into subsequent novels. Families of Valkyries, Vampires, Demons, Humans and Werewolves populate these stories with varying degrees of tolerance for one another. The conflict between the characters is frequently hysterical, the characters dialogue is sarcastic and quick witted, and the adventures, quests and contests very unique. No purple prose. This story is even better if you have read/listened to the earlier books in the series but its not necessary to read them to understand the story. Cadeon's story has been building for several novels - he is attempting to atone for a fateful decision he made centuries ago that cost his brother a kingdom and he has been trying to redeem himself ever since. Robert Petkoff's narration of this and all the Immortals' novels is flawless and transports you into the story, action and characters because of each distinct, gender appropriate voice that he manages to retain throughout all the books. Like every great book you can't put down, once you start listening you will want to listen to this in one sitting until the end. Then you can join the rest of waiting for the next one. Thanks to the reviewers who encouraged me to try!! Not familiar with the author, but interested in the plot synopsis, I read the reviews and decided to give this book a try. I am very glad I did. Set in Transylvania in the early 14th century, the main character is a assassin who wants to retire to his home after one last job. The love story begins when he meets the women who is the target of his last assignment. Written with great emphasis on atmospheric detail, emotion and character development, this is not a romatic comedy, but two tortured souls looking for redemption. Some found the narration slow, and I did at first, but after about an hour I began to appreciate the pace, accents and Ms. Crowley's great male character voices. A great narrator and a fantastic storyline, the author and Ms. Crowley immerse you in the characters, the mystical places and the details that make you want to continue to listen -- you become engrossed in the storyline and the characters - I didn't want this to end. The only bad part is that I will have to wait forever for the next 6 books. I will start with her other series and hope she write fast. Thanks to all the listeners who took the time to write a review. Please find a new narrator. 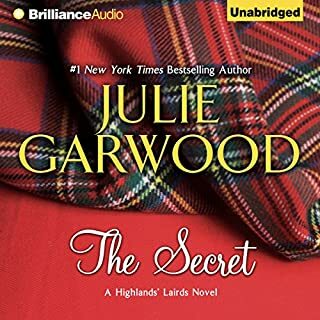 For some reason, the publisher/audiobook producer cannot find a good narrator for Julie Garwood's historical romance novels. First there was Steven Crossley then Anne Flosnik. The third time, Susan Duerden, was definetly not a charm. This is the first audiobook I have ever considered returning because it was so painful to listen to. The narrator whispered throughout most of the book, could never get close to a male voice, let a lone a Scots burr, and the screaching in the later chapters, when the male characters are supposed to be yelling - ouch. Most irritating is that she ends most sentences with an inflection either up or down, exaggerating the ending of each sentence. I love Julie Garwood's historical romance novels and so far these great books have been butchered by poor narration. 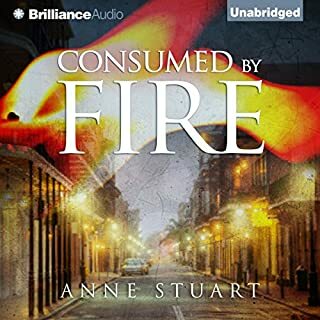 Given the number of historical romance novels set in either Scotland or England that are produced into audiobook format each year there are certainly narrators who can give these great books justice. Please find one. I like the story so much I just can't bring myself to give it a really bad rating, but listener beware. If I could give the performance a zero, I would. P. J. and Cole were sharpshooting rivals on the same KGI team and enjoyed a spirited, uncomplicated camaraderie. Until the night they gave in to their desires and suddenly took their relationship one step further. In the aftermath of their one-night stand, they're called out on a mission that goes terribly wrong, and P. J. walks away from KGI, resolved not to drag her teammates into the murky shadows she’s poised to delve into. Disappointed by the change of narrator. I will never understand why the publisher changed the narrator on book seven of this successful and well-reviewed series, particularly when so many of the positive comments were directed towards the performance of the narrator for the first 6 books. I have looked forward to PJ’s story for several books and as usual, the story was fantastic. Unfortunately, the new narrator didn’t provide a performance of the book but rather simply read it, fast, without much emotion. I didn’t care for the odd accent of Cole and the narrator failed to give justice to the intensity and emotion of PJ’s trauma as written by Maya Banks. I really wanted to like the new narrator, but it just didn’t work for me. 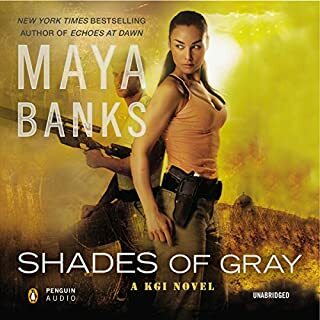 Maya Bank’s KGI novels are some of my favorites, in part, because you become invested in the characters, their missions and camaraderie, even more so with PJ and Cole. After listening to the audiobook, I read the book and it was even better the second time around. Billionaire Alex Ben Raschid can’t remember the last time he heard the word “no.” As Houston’s economic powerhouse and heir to a vast, oil-rich Middle Eastern sheikdom, Alex is used to getting what he wants. And when he lays eyes on Sabrina, the sensuous redhead hired to belly dance for his party, he wants her...and immediately sets out to possess her - heart and soul. But it is clear that his virile and arrogant manner will never win him Sabrina’s heart. Could Alex ever be humble enough to sway her? An old romance gets new life. Before Iris Johansen began her Eve Duncan novels of romantic suspense, she wrote a number of series romance novels in the mid 1980's for the Loveswept imprint. 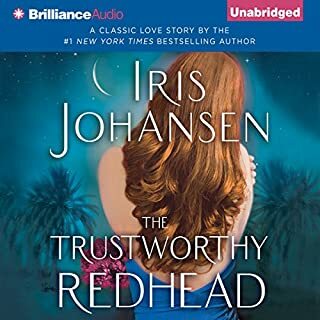 The Trustworthy Redhead is one of her 15 or so Loveswept stories set in the Kindgom of Sedikan. Each story introduces a set of characters who will then be added to the next story so that the reader can follow the interconnected families and stories. This story was early in the series (#3 I think) and introduces the leader of Sedikan, Alex Ben Rashid. This is an old school "sweet" series romance. Not exactly Barbara Cartland, but definetly not Karen Marie Moning, JR Ward or even today's Iris Johansen. The storyline is fairly predictible, opposites attract, the men are alpha males, there are disagreements between the couple, and then the main characters realize their mistakes. Definetly not politically correct or a modern romance. Other books later in the Sedikan series are offered by Audible with different narrators, to varying degrees of success according to the performance reviews. The change to Elisabeth Rodgers is a welcome addition to the series. In an underground club, a high-ranking public official spends his secret nights indulging in fantasies as exciting as they are depraved. For a seductive employee of the Dungeon, it's her job to fulfill them. But she's playing a far more dangerous game - one of blackmail, politics, and murder that reaches into the shadow world of the Ghostwalkers, and the creation of a spectacular, one-of-a-kind new weapon of defense. But when a dictator makes his own catastrophic moves, the Ghostwalkers have no choice but to bring in two major players - a man and woman both driven by passion and revenge. Read the Ghostwalker Series. It Rocks! The characters deserved a better storyline. 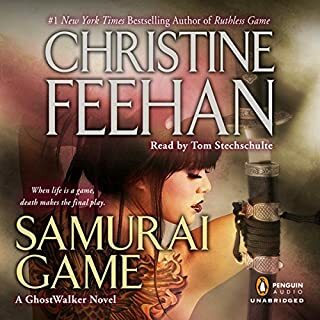 Christine Feehan's Ghostwalkers series is one of my favorites. The characters, in concert with Tom Stechschulte's performances, make them an automatic buy for me. This is the first book in the series that was truly disappointing; to the point where I had to force myself to listen to the end so that I didn't miss any of the storyline that may be relevant to future books. The only reason I gave this book a 3 star rating, instead of 1 or 2 is because of the beginning and ending of the book. The first few chapters of the book (an hour or so in audio time) were great, detailing the individual backgrounds of Azami and Sam, Azami's relationship with her brothers and her work to destroy Whitney. Then, the storyline and my interest went south. Azami travels to meet the Ghostwalkers and when she meets Sam, their entourage is attacked. It is during this battle that Sam decides he is in love with her. The next couple hours of dialogue can be condensed into - Sam saying he loves her, Azami says she is not good enough to have the love of any man. Yes you are. No, I am not. Ok, I am. It was endless and painful to listen to because it was repetitive, and more importantly, unrealistic. They had known each other for about an hour. I get the whole Ghostwalkers can sense their soul mate storyline, but this was beyond credulity and when she started calling him "Sammy", I cringed and hit the fast forward. Also, if you removed each time Azami said she was either "a samurai', "trained as a samurai" or one of the endless variety of other references to "being samurai", the audiobook would lose about an hour in length. That said, after Sam and Azami acknowledged their love for each other, the book got interesting again. The romance was rushed. This story had such potential because the characters individually were interesting - it was only when they were together that they were really boring and had no chemistry together. I am not giving up on this series – I have really liked all the earlier books. If you are new to the Ghostwalker series, don’t start with this novel – it is not representative of the earlier books that made me a fan of the series. Bowen MacRieve of the Lykae clan was nearly destroyed when he lost the one woman meant for him. The ruthless warrior grew even colder, never taking another to his bed - until a smoldering encounter with his enemy, Mariketa the Awaited, reawakens his darkest desires. When sinister forces unite against her, the Highlander finds himself using all his strength and skill to keep her alive. Temporarily stripped of her powers, Mari is forced to take refuge with her sworn adversary. Soon passion burns between them. The title is self-explanatory i.e hot, hot, HOT! After buying so many audiobooks, I have come to realize that selecting the right narrator is a fundamental step in bringing the author's vision to life. It is an art form, and when the selection doesn't work, even a great book can be rendered unlistenable. But when it works, particularly with strong source material, it is an audiobook you want to listen to over and over again and then buy every book in the series. This book is just that -- I can't image anyone could improve on Robert Petkoff's performance with Kresley Cole's books. Of course it helps that the book is simply fantastic. A character from earlier Cole novels in the series, Bowen McReive is a tortured soul, driven to turn back time in order to bring his long deceased mate back to life. While spending all this time and effort to reunite with his former mate, it finally dawns on him, after about 34 chapters that it, that he may have had it wrong all this time. Both the male and female lead characters are strong willed, opinionated and intelligent - if a little clueless in the relationship department. Its a romance, so of course there is a happily ever after but, how they get there is all the fun, and in this case, a great ride because of the skill of the author. There is character development, humor, entertaining insults, a paranormal plot and the best secondary characters that we get to meet in later books. This is a stand alone book, but you won't really appreciate the interconnection between the characters in the series if you don't start with book one. So listen to this one but go backwards and buy the earlier audiobooks. You will enjoy the ride. The combination of KMM & Phil Gigante is a winner. I typically don't purchase short stories in audio format because they are simply too short for the money - but since Karen Marie Moning has become an automatic buy for me, I gave this one a try and am glad I did. First, let me say that Phil Gigante could probabaly read the phone book and I would buy it, so I was predisposed to like the narrator. 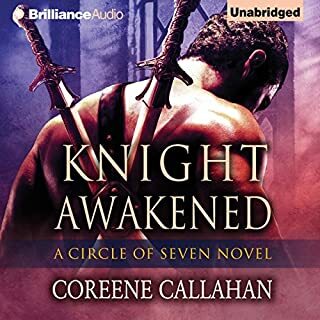 While this is listed as book 7.5 in the series, you don't need to read all of KMM's earlier Highlander novels to understand or appreciate the plot -- although I highly recommend that you do if you like romance novels. Each book in the HIghlander series adds new people, backstories and plots that ultimately make up the interconnected story lines involving the relationships between KMM's fae and Scottish Highlander characters - both in the past and in the present - most recently revisited in her "Fever" series. Without giving away what is a fairly traditional plot - SPOILER ALERT - the characters are "introduced" while they are dreaming and when they finally meet Jane has a short period of time to convince the Highland warrior Aedan that they know one another so that his destiny is changed. Not particularly complicated and maybe I liked this short story because I have read/listened to all the Highlander and Fever books, but ultimately I think I enjoyed this because it was a change of pace, short, simple with interesting characters and a great narrator. Not the best book in the series, but good if you buy it understanding that this is a short story with minimal character development and plot. Years ago I purchased Midnight Rainbow by Linda Howard, the first romance novel I ever read. 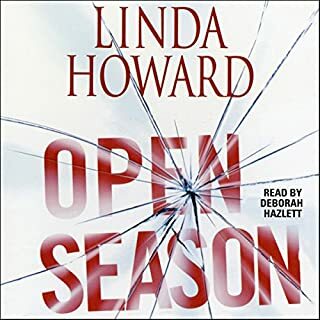 Since then, I have purchased all of Linda Howard's books and Open Season remains one of my favorites. While some of her novels, such as Cry No More, concern serious topics that will have you in tears, and others (All the Queen's Men) have more suspense, Open Season is a light hearted novel about life in a small southern town. This is a novel that will make you laugh. Daisy is the town librarian who decides she is boring, dresses too plainly, doesn't date and living with her mom is not helping matters - so she gets a make over at the big city "beauty salon" vs. the small town "beauty shop" where she typically goes, moves out of her mother's house and rents a house only a first time renter could appreciate and attracts the attention of the local Sheriff, with humorous results. This is a romance novel, with a suspense sub plot that is there so the characters can have a romance. Deborah Hazlett's performance is very well done with distinctive accents, a good pace and inflection - she brings the book to life. Linda Howard has written other books that have more involved plots, character development and suspense, but for sheer humor and joy, this book is a favorite.